Sad! 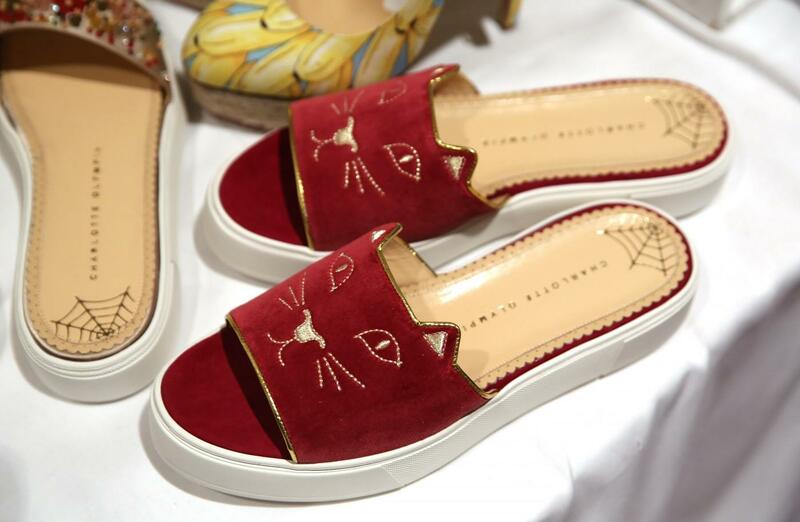 Charlotte Olympia — maker of adorable cat slippers and sky-high platforms with little golden spider web zipper-pulls — has just filed for bankruptcy protection, reports WWD. The company, which was founded in 2008 by Charlotte Olympia Dellal, daughter of model Andréa de Magalhães Vieira and sister of model Alice Dellal, filed Chapter 11 over the weekend in Delaware bankruptcy court, claiming $10 million to $50 million in debt. According to filing documents, the company has a mere $1 million to $10 million in assets to offset all that debt, making the brand’s eventual closure and liquidation seem all but inevitable. Still, you never know! Maybe an angle investor will swoop in just in time to keep Dellal’s ship afloat. Charlotte Olympia has certainly carved out a cute little niche for itself in the luxury footwear market over the years and it would be a shame to see the brand disappear altogether. UPDATE: In an email, Charlotte Olympia’s publicist clarified the situation at the company. “We are closing our US entity that we set up for our US retail operations as we are closing the stores. Wholesale business however remains in tact.” Phew! The end is not quite as nigh as we originally thought.